Dr Chinmoy Sarkar is an Assistant Professor of GIS, Urban Health and Environment at The University of Hong Kong. His research interest lies in the interdisciplinary domains of urban epidemiology, healthy city science, geospatial modelling, active transport, complex adaptive systems, urban and regional planning, and application of smart technologies in urban science. Dr Sarkar is the concept lead, developer and PI of the UK Biobank Urban Morphometric Platform (UKBUMP) project which involves spatial modelling and development of the largest ever built environment database of 750 plus modelled individual-level health-specific built environment metrics for 0.5 million participants of the flagship UK Biobank epidemiologic cohort as well as detailed BE-health epidemiological modelling. The UK Biobank Built Environment project constituted his post-doctoral research at Cardiff University, UK and Hong Kong University (supported by Research Assistant Professorship grant) and emerged from his PhD research which examined the associations between detailed neighbourhood-level built environment and individual health outcomes of respondents from the Caerphilly Prospective study. This formed the basis of his book “Healthy Cities: Public Health Through Urban Planning. Cheltenham, UK: Edward Elgar” which conceptualizes Healthy Cities in terms of empirically defined spatial health niches – a framework that has the potential to incorporate and integrate multiple multi-level spatio-temporal health determinants existing at the different hierarchies in a city system. Currently, besides developing the second phase ground breaking national-level UKBUMP database project from The University of Hong Kong (as a part of collaborative agreement with Clinical Trials Services Unit, Oxford University), he is also leading a series of empirical studies aiming to decipher associations between objectively measured built environment and individual activity behaviours, obesity, cardio-vascular risks, mental health and wellbeing as a part of the core project of which he is the PI http://www.ukbiobank.ac.uk/2015/02/dr-chinmoy-sarkar-university-of-hong-kong-faculty-of-architecture/. His aim is to develop more robust and causal models of associations between built environment and health and testing them on some of the world’s leading epidemiological cohorts. Dr Sarkar has been named the inaugural scholar for the National Academy of Medicine, Washington – Hong Kong University Fellowship in Global Health Leadership. Other recent accolades include an RTPI Award for Excellence in spatial planning research: Academic Staff (winner in 2014 and commended in 2016), Rees Jeffreys Road Fund Scholarship, TSU, Oxford University and Associate Fellowship of UK Higher Education Academy, and Salzburg Global Fellow. His research has been cited in major media including Reuters and Guardian. Built environment epidemiology and healthy cities planning and modelling. Big data modelling in health and urban mobility. Gene-built environment model of health. 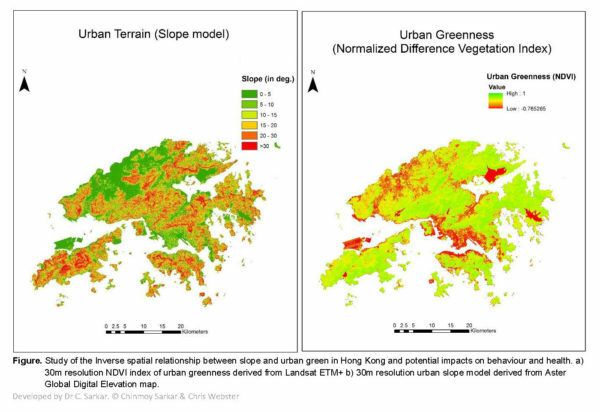 Urban design, green space, travel behaviour and transport policy. Road traffic casualty modelling from accident database. Modelling smart cities via ubiquitous social network data. Socio-spatial engineering for sustainable neighbourhoods and communities. Hedonic modelling of property price data. Health economics of global climate change. Risk assessment of chemical process industries and land use policy around hazardous zones. Urban simulations: Network modelling and cellular automata. Application of Geographic Information Systems (GIS) and Remote Sensing based techniques for urban systems management and change detection. Quantitative methods: Spatial analyses, statistical modelling (regression, multi-level modelling, structural equation modelling, Bayesian modelling, longitudinal/time-series modelling, spatial statistics). Sarkar, C., Webster, C., and Gallacher, J. (2014) Healthy Cities: Public Health through Urban Planning. Cheltenham, UK and Northampton, MA, USA: Edward Elgar Publishing. Sarkar, C., Webster, C., Gallacher, J. (2017) Association between adiposity outcomes and residential density: a full-data, cross-sectional analysis of 419 562 UK Biobank adult participants. The Lancet Planetary Health, 1(7), e277–e288. Sarkar, C. (2017) Residential greenness and adiposity: Findings from the UK Biobank. Environment International, 106, 1-10. Sarkar, C., Webster, C. (2017) Urban environments and human health: Current trends and future directions. Current Opinion in Environmental Sustainability 25, 33-44. 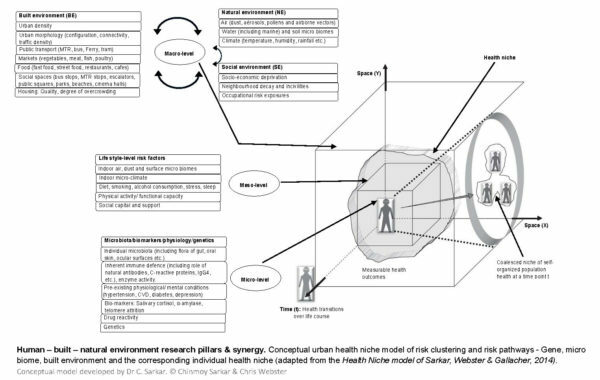 Sarkar, C., Webster, C. (2017) Healthy Cities of Tomorrow: the Case for Large Scale Built Environment–Health Studies. Journal of Urban Health: Bulletin of the New York Academy of Medicine, 94(1), 4-19. Yoshitaro H., Dissanayake T., Zheng T., Kang K., Yueqiong N., Xu Z., Sarkar C. et al. (2017) Toward a Metagenomic Understanding on the Bacterial Composition and Resistome in Hong Kong Banknotes, Frontiers in Microbiology 2017; 8, 632 (1-12). Xiao Y., Sarkar C., Webster C.J., Chiaradia A.J.F. and Yi L. (2017) Street network accessibility-based methodology for appraisal of land use master plans: An empirical case study of Wuhan, China. Land Use Policy. 69: 193–203. Yi Lu, Chinmoy Sarkar, Yu Ye, Yang Xiao (2016) Using the Online Walking Journal to explore the relationship between campus environment and walking behaviour. 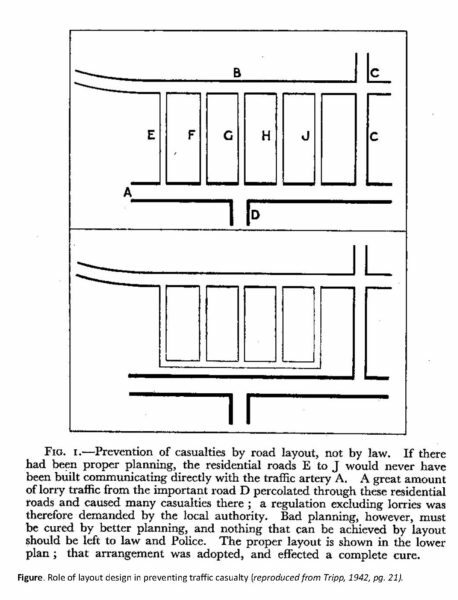 Journal of Transport & Health, 5, 123-132. Chris Webster, Fulong Wu, Fangzhu Zhang, Sarkar, C. (2016) Informality, property rights and poverty in China’s ‘favelas’. World Development, 78, 461-476. 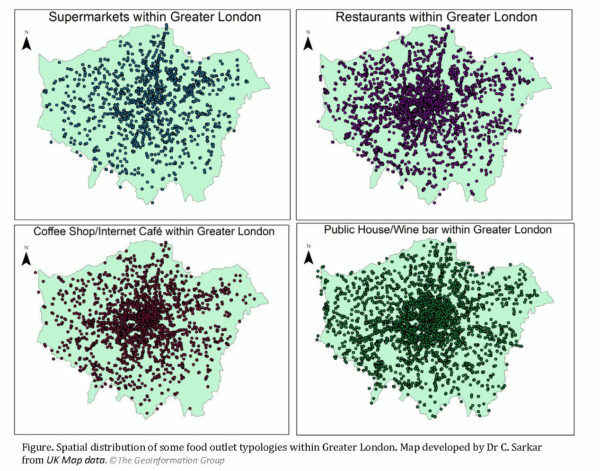 Chinmoy Sarkar, Chris Webster, Matthew Pryor, Dorothy Tang, Scott Melbourne, Xiaohu Zhang, Liu Jianzheng (2015) Exploring associations between urban green, street design and walking: Results from the Greater London boroughs. Landscape and Urban Planning, 143, 112-125. Sarkar, Chinmoy, Chris Webster, and John Gallacher. 2015. 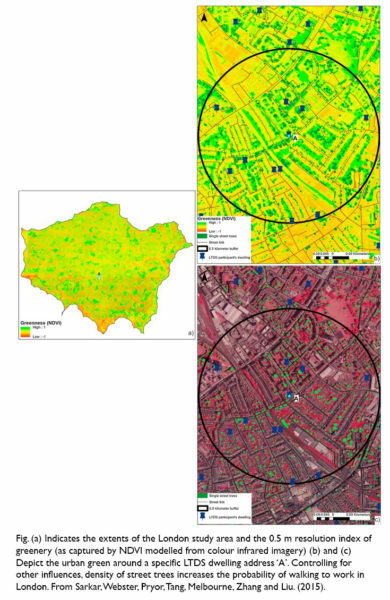 UK Biobank Urban Morphometric Platform (UKBUMP) – A nationwide resource for evidence-based healthy city planning and public health interventions. Annals of GIS, 21(2), 135-148. C. Sarkar, J. Gallacher, C. Webster (2013) Built environment and psychological distress in later life – Results from the Caerphilly Study. BMC Public Health, 13: 695. 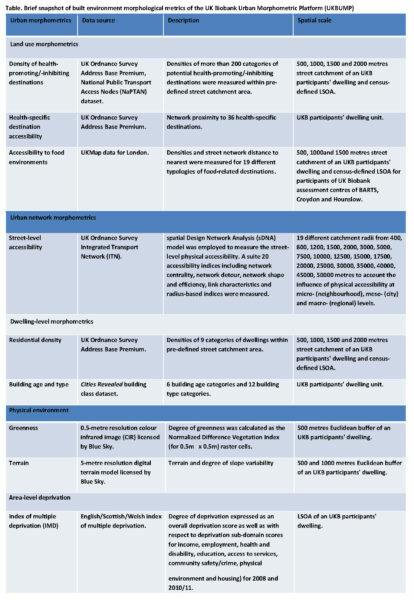 C. Sarkar, J. Gallacher, C. Webster (2013) Built environment configuration and change in body mass index: The Caerphilly Prospective Study (CaPS). Health & Place, 19, 33-44. Sumathi, V.R., Natesan, U., Sarkar, C. (2008) A GIS based approach for optimized site selection for municipal solid waste landfill. Waste Management, 28, 2146–2160. Sarkar Chinmoy & Abbasi, S. A. (2006) QUALIDEX – A new software for generating water quality indice. Environmental Monitoring and Assessment, 119(1-3), pp. 201-231. Sarkar, Chinmoy & Abbasi, S. A. (2006) Cellular-automata-based forecasting of the impact accidental fire and toxic dispersion in process industries. Journal of Hazardous Materials, A137, 2006, pp. 8-30. Sarkar, C. & Abbasi, S. A. (2006) Enhancing the accuracy of forecasting the impacts of accidents in chemical process industry by the application of cellular automata technique. Process Safety and Environmental Protection, Trans IChemE, 84 (B4), pp. 1-16. HKU Bulletin. January 2018. Cities That Make You Want to Get Active. HKU Bulletin (The Mixed Blessing of Big Data), 19(2): 7.